Commercial floor scrubbers are excellent investments if you have been hoping to keep the condition of your establishment clean and appealing. Still, it is important to remember that even the most advanced units will require timely maintenance in order to ensure their cleaning power. What are some factors to take into account? 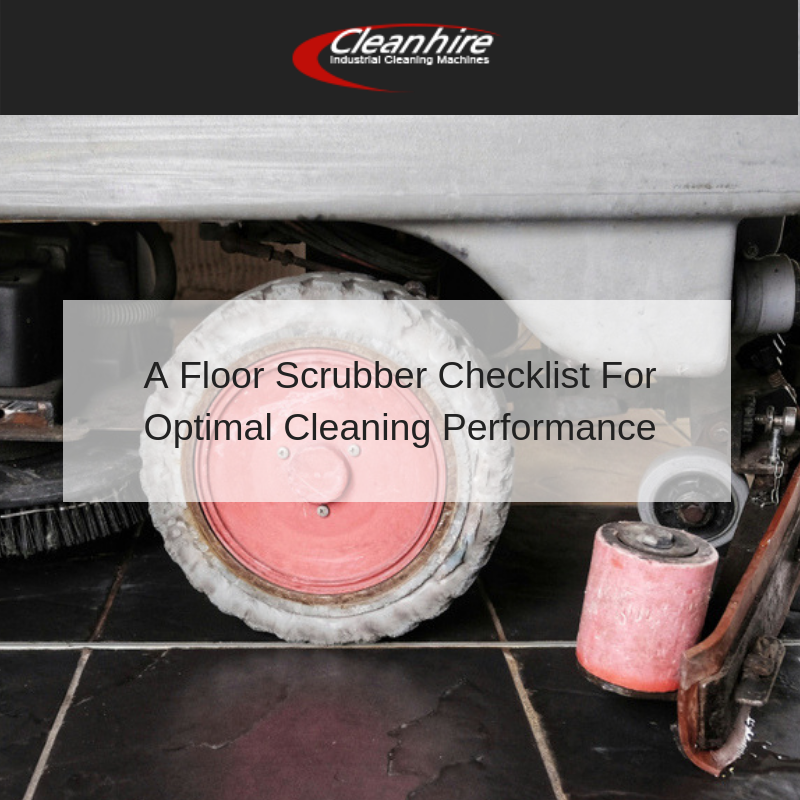 Let’s examine the quick checklist found below so that you can make the most out of your floor scrubber hire service. These are arguably the most sensitive areas of any floor scrubber, as they are exposed to a great deal of wear and tear. It is wise to check any brushes and squeegees before each use. Remove any dirt or debris that may have built up in order to extend their lifespan and to avoid a mechanical failure. It is obvious that a scrubber will not function if its battery fails. While modern batteries will normally not cause any issues, they still need to be charged and examined from time to time. Some experts recommend pouring in distilled water during the charging process; this can help to extend its lifespan. It is also wise to choose gel batteries, as spills are less likely to occur. A floor scrubber has many moving parts such as joints and pivot points. These will also need to be cared for if you hope to avoid mechanical issues. Read the owner’s manual to determine where and when oil should be applied. This oil helps to reduce mechanical friction and it should be placed in certain areas. Also, determine which type of oil needs to be used; certain floor scrubbers are rated for unique formulations. Utilising the wrong oil could actually result in more harm than good. Much like a vehicle, it is important to maintain the exterior condition of the floor scrubber. Regular washing with a damp cloth is recommended. Check to make sure that all controls and warning systems are functioning properly. The same holds true for operating lights. Each of these maintenance tips is easy to perform and they will help to guarantee that your unit operates at its peak capacity at all times. If you are looking to rent such a machine or if you wish to access additional recommendations, please visit Cleanhire and speak with a customer service specialist.